This month, we're doing a product spotlight on the Total Chaos bed stiffeners. If you remember the early pre-runner craze of the 80s and 90s you'll remember seeing mini trucks with their tailgates removed, usually with a net used to keep the goods (or friends who'd ride in the back) from falling out. If these trucks saw any off road use however, the bedsides would start to crack and soon begin to flop around. A savvy company came along in the mid 90s and created some small diagonal braces. Although they worked as intended, they didn't really offer much beside reinforcement, they also partially blocked the bed opening. Enter Total Chaos. A company who is rooted in the off road world. They personally test and race with their own off-the-shelf, handmade, products. 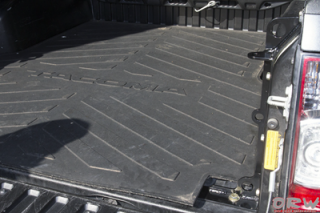 Because they also "off road" their daily drivers, they get to experience first-hand many of the issues Tacoma owners encounter and as such are able to design and produce solutions to these ailments. 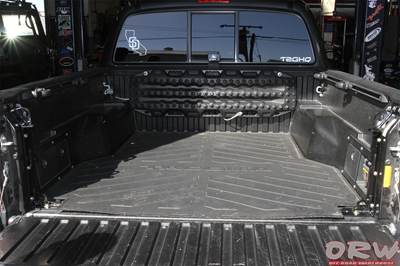 Total Chaos recently introduced their own "Rear Channel Bed Stiffeners". 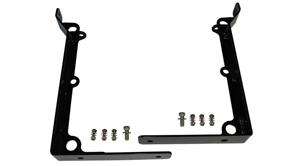 These brackets are designed to easily bolt on using existing holes (2 additional holes are then drilled once everything is lined up) and include high quality grade 8 hardware. The brackets are powder coated black, ensuring many years of service life and also include 3 eyelet tabs per side along with an additional flat tab on top for a flag, antenna, light or whatever else you'd like to mount. 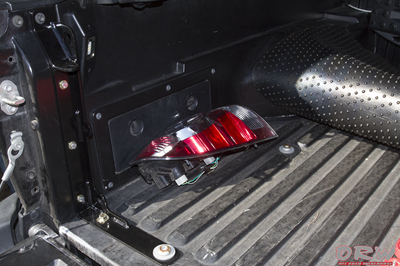 The Total Chaos Bed Stiffeners are great for adding additional support when camper shells are used and the additional strapping points makes this product a must have for people that use their truck to either off road or haul any dirt bikes or any other cargo.